The Beat Generation was a part of American culture beginning in the 1940s during WWI and did not gain significant cultural status until August of 1944 when a Columbia sophomore, named Lucien Carr, murdered David Kammerer, a thirty-three year-old gay man. 20th Century history has many cultural movements that are interesting to explore in research papers. 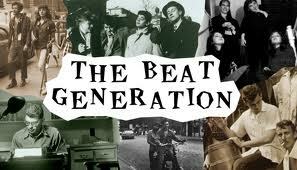 Have Paper Masters custom write your research project on the Beat Generation and learn about one of the most unique, young set of individuals to grace the 1950s and 1960's. Our writer will focus on the music, poetry, art or icons of the Beat Generation in a project that you design and dictate exactly what you want reviewed. A decade later young people began calling themselves hippies, growing their hair long, dressing in blue jeans and tie-dyed shirts, and listening to the rock and roll of the Beatles, the Grateful Dead, Jimi Hendrix and a host of other psychedelic bands. They too smoked marijuana for recreational purposes, but began using a new drug: LSD. They had a common bond in their protests against the Vietnam War, and asked the world to make love, not war. While it is true that the Beat Generation was a part of American culture beginning in the 1940s during World War II, it did not gain significant cultural status until August of 1944 when a Columbia sophomore, named Lucien Carr, murdered David Kammerer, a thirty-three year-old gay man. The murder, which took place in Riverside Park at the base of 115th Street, was deemed by the Daily News an “honor slaying.” It seems that Kammerer, a former teacher, had fallen hopelessly in love with Carr, a former student. This incident spawned the Beat’s first literary efforts and projected such great minds as Allen Ginsberg and Jack Kerouac into the limelight. They were the first to protest what they considered to be the blandness, conformity, and lack of serious social and cultural purpose in middle-class life in America. If much of the rest of the nation was enthusiastically joining the great migration to the suburbs, they consciously rejected this new life of middle-class affluence and were creating a new, alternative life-style; they were the pioneers of what would become the counterculture. On The Road - On the Road research papers are custom written on Jack Kerouac's novel that has become a classic of the Beat Generation. Americana - Americana research papers discuss the collection of artifacts that deals with the folklore of American history and culture. Ginsberg and Howl - Ginsberg and Howl essays examine the American poet, Allen Ginsberg, and discuss his best remembered work, Howl. Desolation Angels - Desolation Angels Research Papers discuss an autobiography about Jack Kerouac. Blessing the Boats - Blessing the Boats research papers analyze Lucille Clifton's poetry on religion and minority woman. Vietnam War and America - Vietnam War and American Culture term papers illustrate how the United States was deeply affected by the US entering Vietnam. Sixties and Seventies - Sixties and Seventies research paper delves the culture of the 1960's and 1970's and pieces of literature such as M Soul b Howel Raines. Paper Masters writes custom research papers on The Beat Generation and looks at the characteristics of the young people of this generation, and the type of music they listened to.